Here's a superb new online slot from Playson. 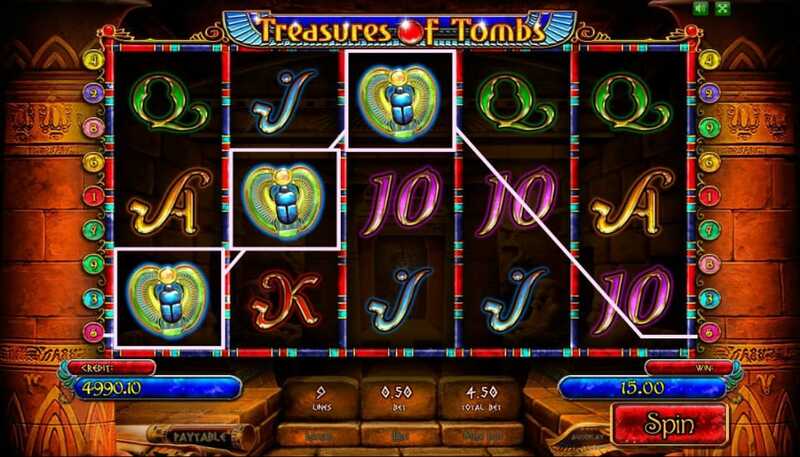 Treasures of Tomb play video slots by developer Playson. It is based on ancient Egypt and their surroundings and culture. Complete with hieroglyphics and Egyptian icons, this game is a classic in its true sense. The online slots game offers the regular Wild and Scatter but interestingly they are both the same symbol – meaning the Wild and Scatter are interchangeable. This is a handy inclusion that will lead to more opportunities for wins. 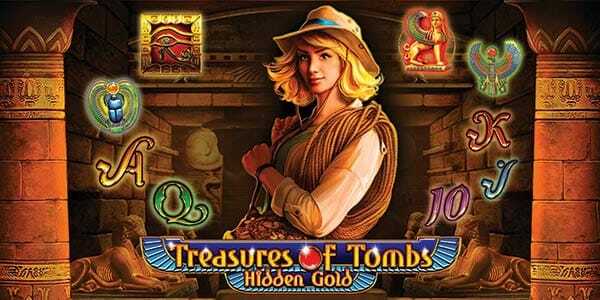 Treasures of Tomb is set inside a Pyramid during dated period of Egyptian Gods and hidden treasures. The slots are in the 5x3 fashion against the backdrop of ancient Egypt. The décor is littered with hieroglyphics adding to the appeal and ancient look. The online slots game features symbols of playing cards like the 10 to Ace symbol, as well as thematically apt ones like the Sphinx. It also has its very own explorer or what we believe to be an archaeologist. She is adventurous, leading us through this journey, and also the highest paying symbol – getting players up to 555 times their stake. Eye of Horus serves as the Wild symbol in this online slots game. The Wild can take the place of any symbol even the Scatter in this game as the Scatter is also depicted by the Eyes of Horus. The Eye of Horus also serves as the scatter in Treasures of Tomb. When 3 or more of the Eye of Horus symbols appear on the screen, it triggers the Free Spins Round. When you land 3 or more Scatters, it triggers the Free Spins Round where players are rewarded with 10 Free Spins. This can be retriggered if you land another 3 Eye of Horus symbols, bringing your total number of Free Spins to 20. This symbols is the highest paying symbol of the group. It fetches you 555 times your total stake, may you land 4 of them on a pay line. 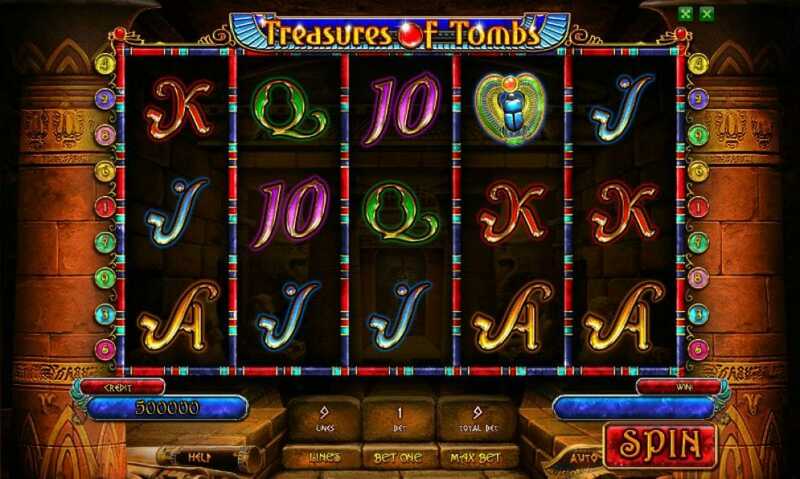 Treasures of Tomb is an entertaining slots game with plenty of opportunities to win. The concept of working towards unlocking more bonus rounds is always fun especially when designed right – which Playson ensured that it was. In total, this online slots game allows you to win a maximum of 1750 times of your original stake, which is bloody neat!